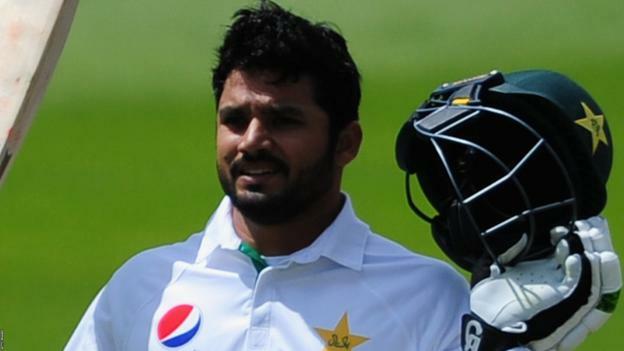 BBC UK – Somerset have signed Pakistan opener Azhar Ali for the last seven matches of the County Championship season to replace the injured Matt Renshaw. Somerset have signed Pakistan opener Azhar Ali for the last seven matches of the County Championship season to replace the injured Matt Renshaw. “His experience at the top of the order will prove to be hugely valuable at the business end of the season,” Somerset director of cricket, Andy Hurry said. Renshaw scored 513 Championship runs in six games at the start of the campaign, including three centuries, but broke his finger last month. The Australia batsman was signed by the county after compatriot Cameron Bancroft was banned for nine months for his part in the ball-tampering scandal during Australia’s tour to South Africa.